Lynne Perrella is such a gem of a designer. She researches in depth before she even begins to put 'pen' to 'paper', or in her case, 'cut and paste' a wealth of stunning ideas until the combinations click in a magical and totally perfect way. Let me hand over to Lynne and let her explain to you herself her process. As a designer and illustrator, one of my favorite activities is creating a new grouping of rubber stamp designs. 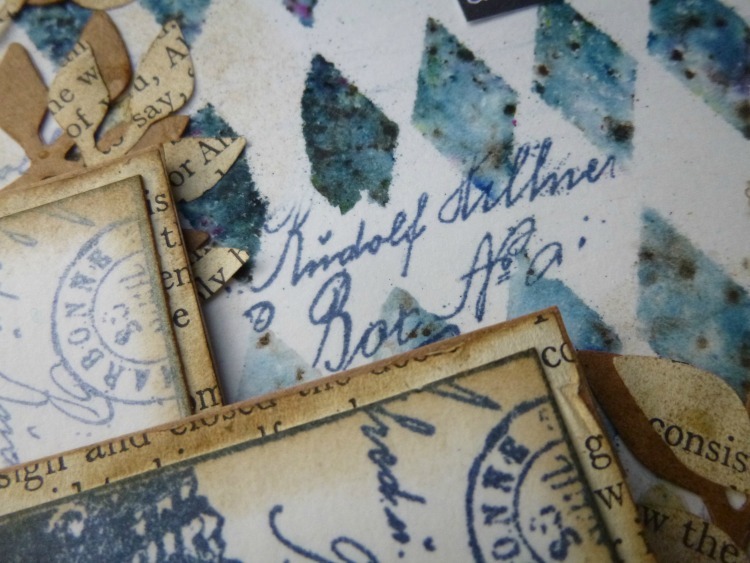 When I concoct a new series of stamps, I delve into some of my long time fascinations: historic research and interpretation, lost arts such as intricate steel engraving, as well as my own collections of old documents and letters. Working in black and white has always interested me, and the high degree of lavish detail that is possible with rubber stamp production is vital. I want my designs to have the vibe of long-ago atmospheric, archival artwork; but have the originality and composition of “today”. Most of all, I want each illustration to have a narrative quality that will pique the interest of another kindred artist, and inspire them to create. Vintage Hollywood historic “costume dramas” inspired this trio of stamp sets. The costume designers and art directors of that golden era did exhaustive research in order to faithfully replicate infamous characters and settings…..but never failed to add an extra shimmer of glitz and fantasy. Think: Norma Shearer as “Marie Antoinette”, Greta Garbo as “Anna Karenina”, Vivien Leigh as “That Hamilton Woman”, etc. I was inspired to create a series of costumed characters, using compelling anonymous faces that I found in archival History of Costume reference books. Each of my characters are concocted from endless visual elements, found in various sources, and then woven together – plus elements of architectural details and furnishings are added as pedestals. The skill of engravers to depict sheen, texture, pattern and detail is a keynote to this group and I wanted each costume to have endless eclectic-but-harmonious elements. Adding numerals and notations is one of my favorite ideas, because it reminds us of the beauty of something written “by hand”. 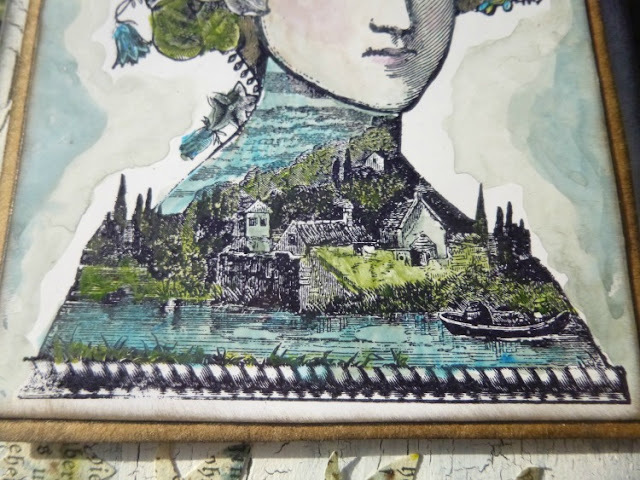 These designs are my nod to the Bronte Sisters and their atmospheric descriptions of the rural countryside. I wanted my characters to be encased and enclosed by flowers, vines, scenic lanes, and “home”-like touches. Cottages and greenery give this group a nostalgic and cozy vibe; and I’ve included a bookmark element that can be used for tags, borders, envelopes, and more. I thought about the term “band box” as I worked on these designs. I wanted these characters to look crisply-elegant, very costume-centric, and posed. “Too much” is never enough when it comes to vintage theatrical costume, so I’ve combined lace, ribbons, feathers, embroidery, flowers, and more. The vibe is romantic and dramatic; evoking love letters, coach rides in the moonlight, and secret glances. Lynne's groupies came out of the woodwork super-fast to use these, so I'll hand you over to Helen and Alison to tell their own story and love for Lynne Perrella's creations! Hi everyone, Helen Chilton here, a self-confessed Lynne Perrella addict! How can you not just love these stamps? The detail is fantastic - the more you look, the more you see. I love to stamp a main image and then to pick out parts of the stamps for extra borders, backgrounds, embellishments etc. I've taken a slightly different approach here as I was also working with some of the new Infusion colours, so I've created all of these samples using the Infusions rather than ink-pads. 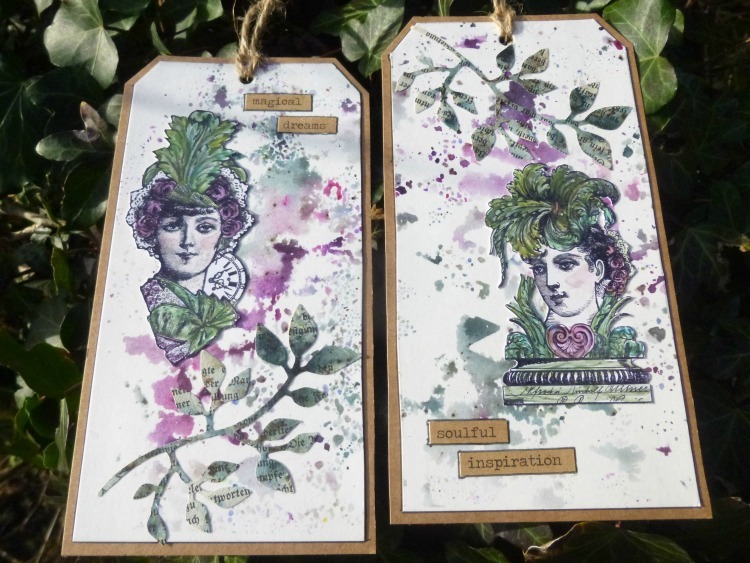 I stamped, stencilled, coloured and spritzed with the Infusion powders. I've kept embellishment to a minimum so you can really see the stamp designs - a little bit of braid seemed in keeping with the style of dress and hair. Tonight I've made a few samples, and one of those I'll share as a step-out project below. I love the costume here and was really pleased with how well it came out stamping with the Infusions. Set against the pinky yellow background it shows up really well. Next time I'd like to create a pedestal for him to sit on using the border stamp at the bottom which has great architectural details. I started with the background for this and was so taken with the way the face and tiny house showed up with repeat stamping that I positioned the main image so that the smaller face top right was still visible. I love how the tiny leaf on her forehead just pops out. Next time I'm going to build up the flowers in her hair to create even more detail. Step Three: Spritz the stamp lightly and stamp it out onto white Smoothy card. The first image will often be very wet, just carry on stamping, spritzing every second or third impression. 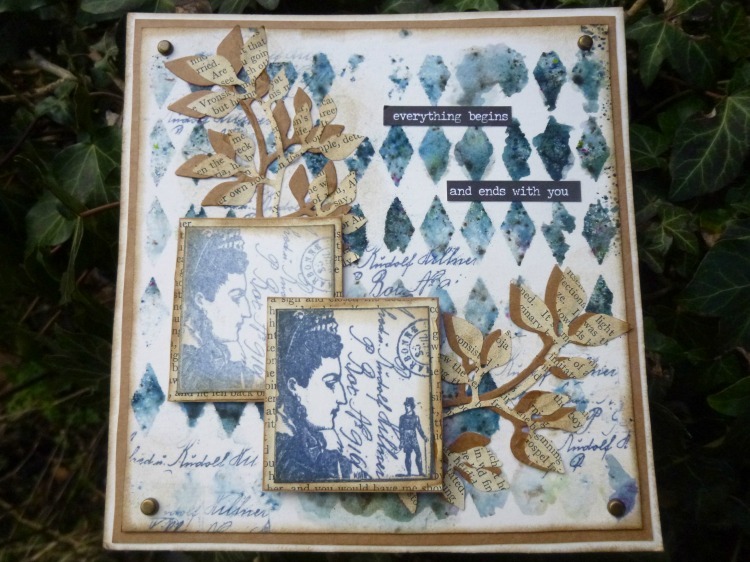 To make this background, I stamped the smaller face from LPC35 repeatedly in Sleight Blue (a new infusions colour that will be available in February). The more times you spritz, the more the walnut crystals show up. ...and then activate with a wet baby wipe. Step Six: For the focal image, I followed the same technique of rub, spritz with Golden Sands (hat) and Violetta (rest of stamp), spritz, stamp. You can see the result below left. Then added touches of grey Watering Can Archival Ink (my only use of an inkpad!) to the edges just to define the outline of the image. Stamped the image again for definition. 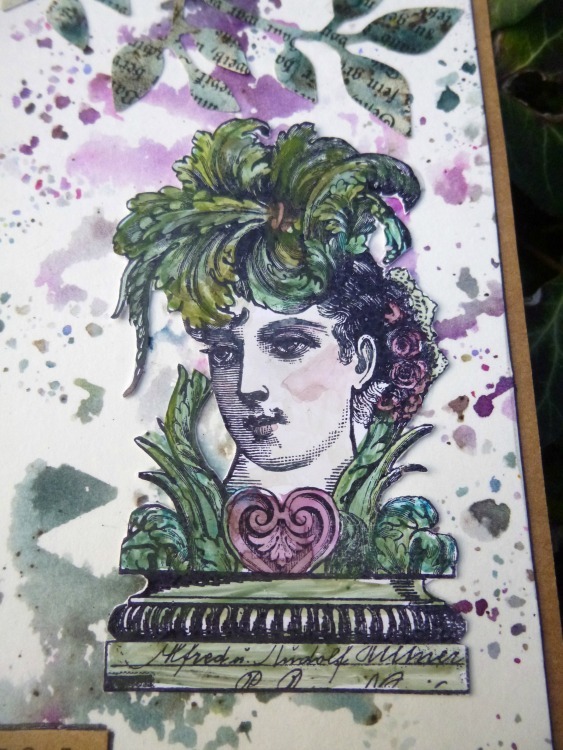 It's wonderful to be using more of Lynne's stamps again! I hope you enjoy them too! 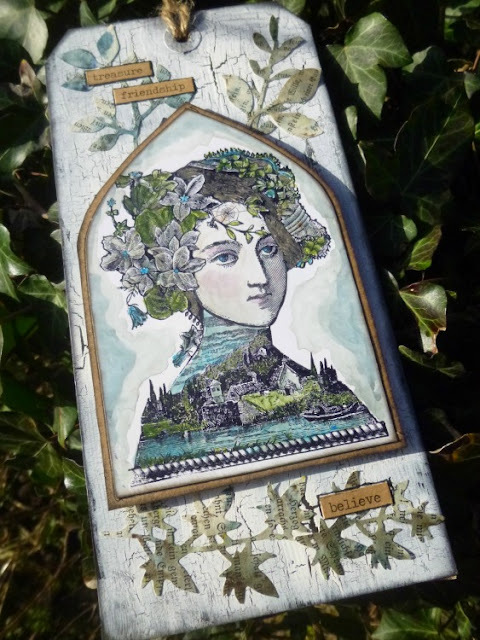 Hi everyone, I'm Alison Bomber and, along with Helen, I'm one of the regulars on the PaperArtsy blog who is always drawn towards Lynne Perrella's amazing stamps. I love stories, and I love history, and Lynne's stamps are always full of both. 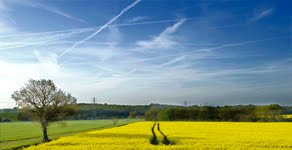 They're like visual poems - already captivating at first sight, with beautiful, intricate images which delight the eye. But their complexity keeps you coming back for more - you're always discovering a fresh detail, a new layer... the stories keep unfolding. And I just love her women. Their direct gaze is so powerful. Even though my way of working is to combine words and pictures, I find I use only minimal text with Lynne Perrella stamps - the odd word or two to reflect something I've seen or felt whilst playing - because these women seem to speak directly to the viewer. 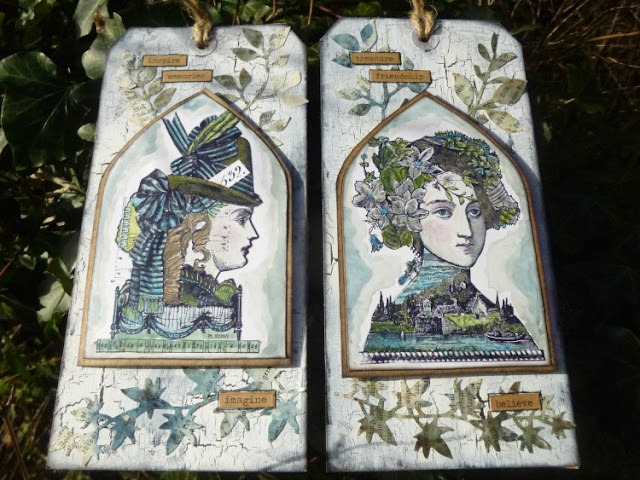 Whether medieval (as so often with Lynne's stamps) or in these 18th and 19th century versions, they are women with dignity, strength and intelligence. I fell head over heels in love with these new sets - the Rococo glamour of the flourishes, feathers and opulent fabrics, and especially the leafy garlands and sweeping landscapes which take you on a time-travelling journey back to an altogether more elegant age. And I could hardly believe it when I read Lynne's words about how she put these collections together... those were exactly the journeys I went on as I was playing, as you'll see. I made a lot of samples - once I started I couldn't stop! - so tonight I'll show you just a few of them here, and one of those I'll share as a step-out project below. That leafy glamour is there in abundance with the images of these two women. The intricate detailing of their "hats" is almost unbelievable. These stamps will be great on cards, or journalling pages (these are standard size #8 tags, so you can see the stamps are about 3 inches tall). They have a romantic look and a perfect period atmosphere. The woman below is even a little impatient - you can see by the clock that the mysterious lover is running late. Look at that lace in her rosy cap - just amazing. I always love handwritten script in a stamp, and the 1.5 inch square image I've used in this sample has a gorgeous example of it. I imagined this woman as a character in an epistolary novel (a book where the story is told entirely through the letters sent back and forth between characters). I also used the script detailing around the rest of the card - those letters are flying back and forth. 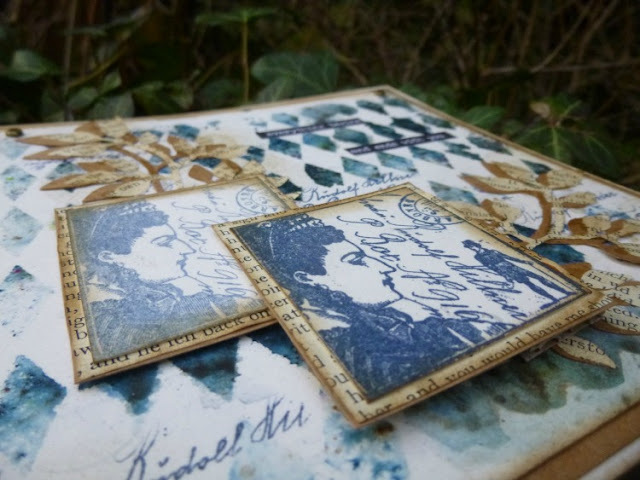 This tiny square full of detail and possibility will bring a touch of magical storytelling to a card or ATC, and will be fantastic to use for mail art projects too. You know in those Jane Austen adaptations when a character stands at the window of a stately mansion and looks out on a sweeping vista - the landscaped gardens giving way in the distance to woods and hills, and maybe even a small village? Well, that's what was in my mind as I played with this next pair of jumbo tags. Step One: First I started off my crackle backgrounds on a pair of size #10 Jumbo tags - French Roast with a thin layer of Crackle Glaze, with Snowflake on standby to go over the top. 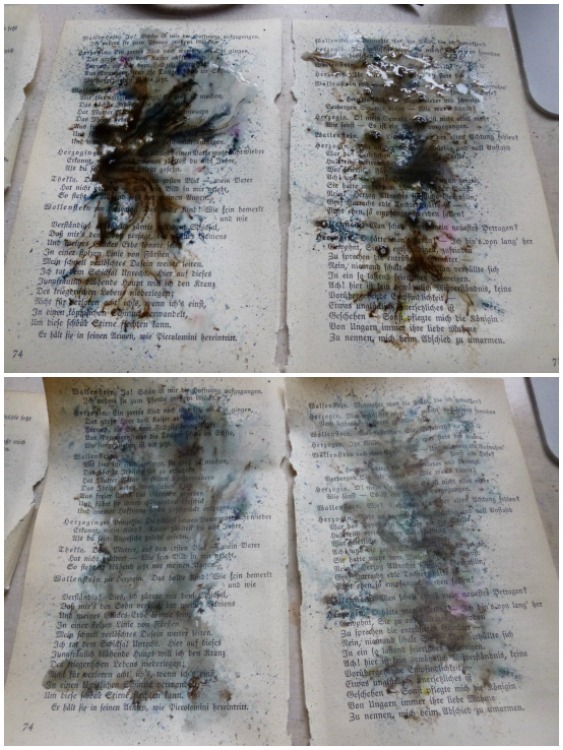 While they were drying and cracking, I spritzed some Infusions onto a couple of book pages. This is the Sleight Blue (ah, word play), wet and dry, but I also did some using In The Navy. 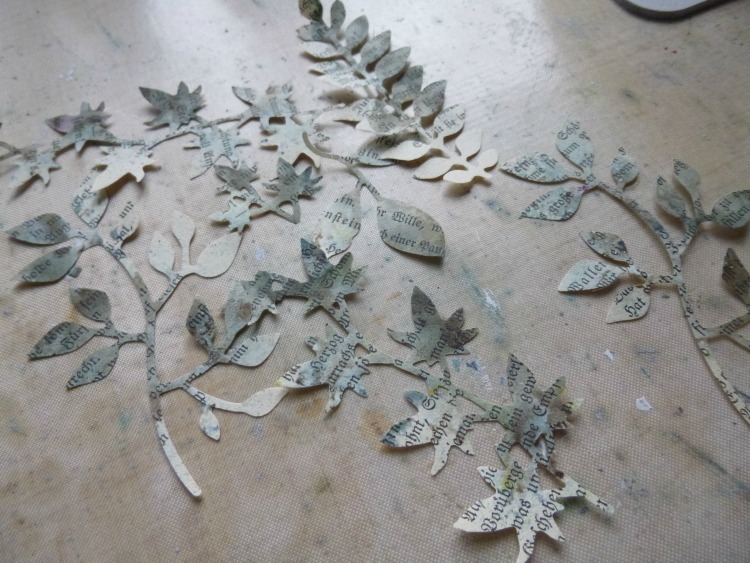 Step Two: I used a die to cut lots of leafy boughs and stems to echo the stamps. 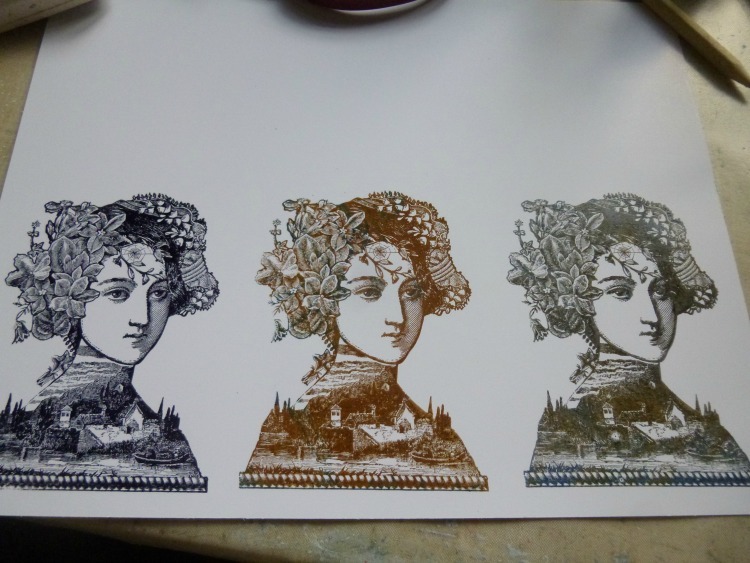 Step Three: I always like to see a stamp in different colours - it can have such a different impact. (Just look at that landscape in Coffee - vintage sepia, or what!) I very rarely stamp in black, but in the end that was what I chose to go with in this case. The paper is Specialty Stamping Paper, an A4 piece on its side - so you can see this is a large stamp. Step Four: To do justice to the landscape and to the leaves, I really wanted to add some greens and blues to the Infusions colours which were providing our palette. 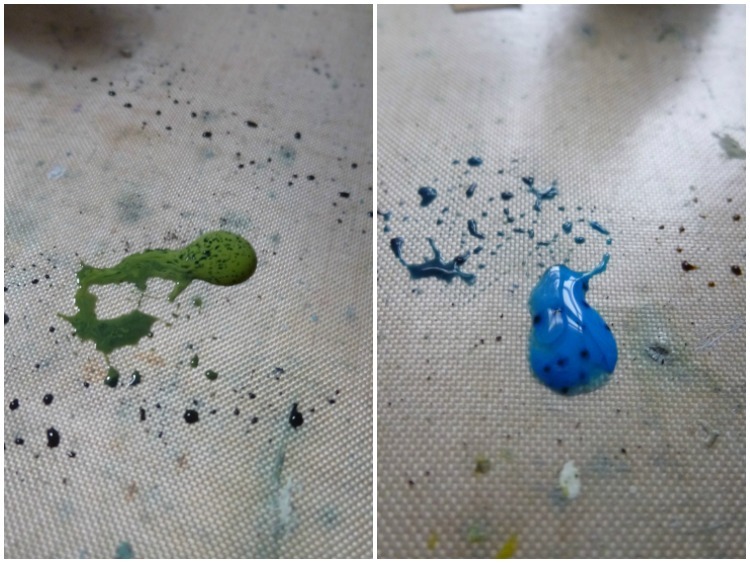 So that they would tone in with the general look, I added some of the Sleight Blue Infusions to my Fresco paints (Hey Pesto and Glass Blue here, but there's also some Blueberry involved in the end result), just sprinkling, spritzing and mixing right there on the craft mat. Step Five: You obviously don't want to obliterate the fabulously intricate detailing of these images, so watercolouring with Infusions is a great way to tint them - that's watery Sleight Blue on the large flowers. I've always used Frescos for this too, but making sure I a) choose mainly translucent colours to work with and b) use plenty of water, and usually a water brush, to keep the washes nice and transparent. For the faces, I used a watery wash of Blush Fresco paint, and then added a tiny sprinkle of Violetta Infusions to it to add some shading on the cheeks and eyelids. Step Six: I found that using the Infusions in a watery wash on the Specialty Stamping Paper gave a great marbled effect, so I used that around the edges of the arch to draw the eye inwards. This is watery Sleight Blue with watery In the Navy around the outside. I think it's probably clear how much I love these stamps. They allow your imagination to go wandering, time-travelling and story-telling and, more than anything else, they're just jaw-droppingly beautiful! 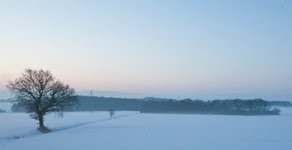 There are still lots more samples to share with you over at Words and Pictures, so I hope you will come and visit. Oh my, its really is a joy to see more from Lynne and those inspringing samples from Helen and Alison, I feel super-spoiled! I hope you will enjoy these stamps as much as we do, the detail is astonishing! Below is a list of our stockists who are ready to sell you products from our new releases. 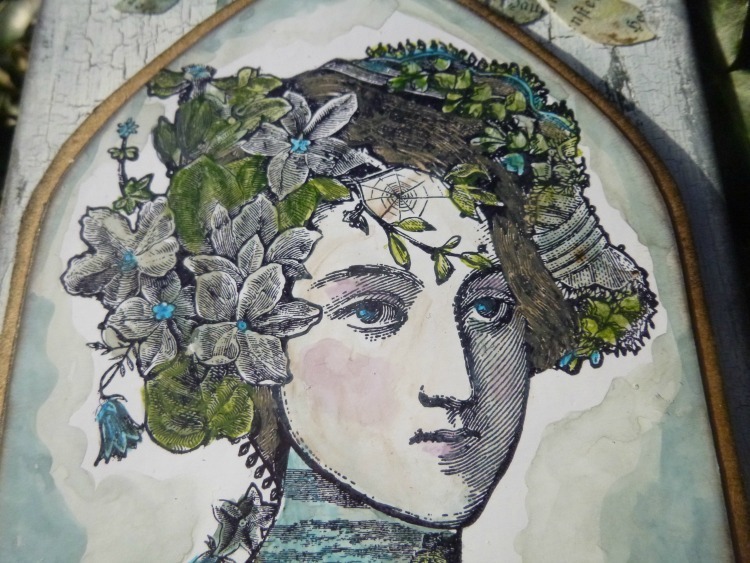 wonderful to see some new designs from Lynne; and the samples from Helen and Alison are incredible. They work so well with the infusions, too. 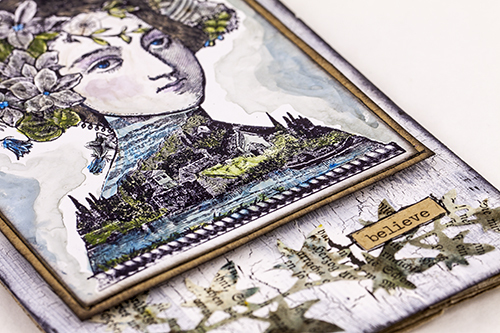 Beautiful new stamps & Helen's & Alison's samples are stunning. I really must try stamping with Infusions. Uh Oh! I'm done for!!! Love them all but 036 is my absolute favourite. Nice to see a male character on one of the stamps for a change even if he is a dandy, lol! The stamps are beautiful and so are the gorgeous samples from Helen and Alison. Well done ladies. I love these stamps and the samples are so beautiful! These new Lynne's stamps were luxurious as expected. Helen and Alison's samples were so gorgeous. can't wait to use them!! This is where I started to really see an Arty side to card making and myself when I first saw Lynne Parrella stamps it opened up a whole new world for me and gave me confidence to push myself to see what I could produce as an Artist! I was drawn to the themes and the atmosphere of the stamps and still am. It's great to read the process of how they are designed and the story that comes with them. 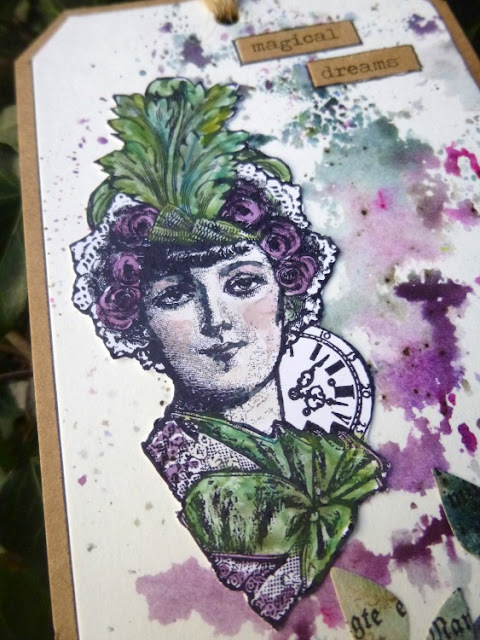 It was about five years ago when I made my very first Tag and used one of Lynnes Stamps and everything changed from there. Oh my! I find no words other than those used above.... will I wait until Version Scrap? Not sure at all. Thanks for all these inspiring creations!